In Asia a lot of people suffer an allergic reaction to certain enriched flour, including the one that is added to noodles as appetizers. However, as there are several noodle makers who add enriched flour to none of the noodles they produce, people who would like to eat noodles but are allergic to enriched flour can eat noodles produced by these noodle makers without risking an allergic reaction to enriched flourDisney Fairies 5 en 1 Combo. A) Noodles are the only meal to which enriched flour is commonly added. B) Not all forms of enriched flour have the inte om overforbar same likelihood to produce an allergic reaction. C) Enriched flour is not naturally present in the noodles produced by these noodle makers in amounts casino online large enough to produce an allergic reaction in someone who online casino eats these noodles. D) These noodle makers have been able to duplicate the appetizing effect by adding enriching components by means that do not involve adding any potentially allergic substances to their noodles. E) Apart from enriched flour, there are no substances commonly present in noodles that create an allergic reaction. The question asks us to find the assumption. Evidence of the argument states that enriched flour causes allergy in some people. 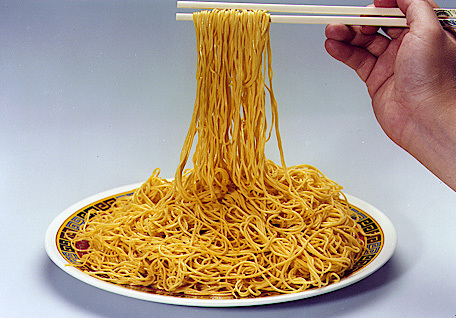 Conclusion claims that it is safe to eat noodles, which are produced by noodle makers that do not add the flour to their noodles. So the author assumes that enriched flour appears in noodles when noodle makers add it or that there is no other way for enriched flour to appear in noodles. Option A contains extreme word “only”. Option B mentions irrelevant to the question types of enriched flour. Option D is out of scope as it discusses ways of Sky Dancers Fingers Multi wholesaleproduction that do not involve enriched flour. Option E is out of scope as it mentions other substances. Е) is incorrect. The argument discusses allergy to enriched flour, so allergies to some other substances are irrelevant. B) Not all forms of enriched flour have the same likelihood to produce an allergic reaction. The argument talks about “several noodle makers who add enriched flour to none of the noodles they produce” – so we are interested in noodles without enriched flour. So answer B, about enriched flour, is incorrect. I think the answer id D, hence the E is incorrect, also because it mentions appetizers and A, B are out of scope in my opinion. When finding Assumption our task is to explain why based on such Evidence the author makes such a conclusion (last sentence in this argument). How does A answer the question: “Why is some enriched flour causes allergy the author says that people can eat noodles of producers who do not add enriched flour?”? Moreover, denied Assumption should Weaken conclusion. If we deny E, we cannot be confident that people eating the noodles will not have allergy. If we deny D, the conclusion stands still. Thank you, that’s good. I thought you said the E is incorrect, that’s why picked D.